Recently, I purchased an Army Air Forces cloth chart. The envelope arrived as I was on my way out. Tearing it open, I glimpsed the frayed edges of a folded silk map. I set the envelope aside, deciding to open the map another day. Search as I might among my piles of books on maps, I could not locate any flashes of marigold. Making History, Drawing Territory. Seductions of Place. To the Ends of the Earth. Cartographies of Danger. Mapping an Empire. Surely it must be somewhere, perhaps sandwiched between The Myth of Continents and Rhumb Lines and Map Wars? Nothing. A seventy year old map lost among seventy books on maps. Turning, a cellophane wrapped title caught my eye. I had forgotten about this – another treasure discovered while roaming through the amorphous market of the world wide web. With anticipation, I removed the book from its protective plastic shroud. A book on misplaced and lost islands. A perfect parable for the ocean of information I constantly drift through. With alacrity, I wade through stories of vain searches for fabled isles, captains with penchants for tall tales, and conscientious cartographers scouring logs, transposing latitude and longitude. Soon my mind is swimming in a sea of doubtful dangers and forlorn lists. As I set the book down, I glimpse a patch of marigold. The envelope! Inside, I find my found and lost and found again treasure. Gently, I unfold a thin and tattered cloth. A sweet and musty scent emanates. On one side, a chart of the East China Seas; on the other, the South. In the crinkled folds of silk I make out the faint forms of islands, clouded in shadowy place names. Once pale blue, the ocean has faded to a cool, cool white. 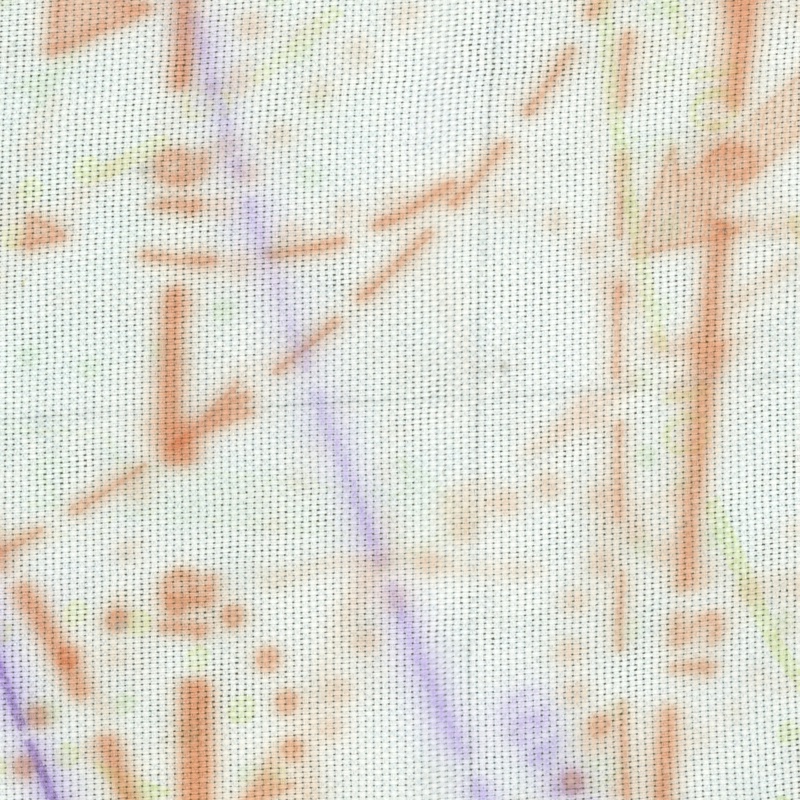 Dotted and dashed lines spiral across the map. In the blurry legend on the top left corner, I decipher that the orange swirls were once red, describing winter currents. A faint suggestion of green summer currents laces the map. The marks of one sea have bled thru to the other, reading as a single interwoven whole. Diffuse arcs of violet, intermittently labeled 0o – 2o – 4o, drift through curlicue currents. Ten violet compass roses and countless ghosts cover the chart. My eyes roam in this shifting sea of amalgamated marks. Information illegible, representation collapsed.